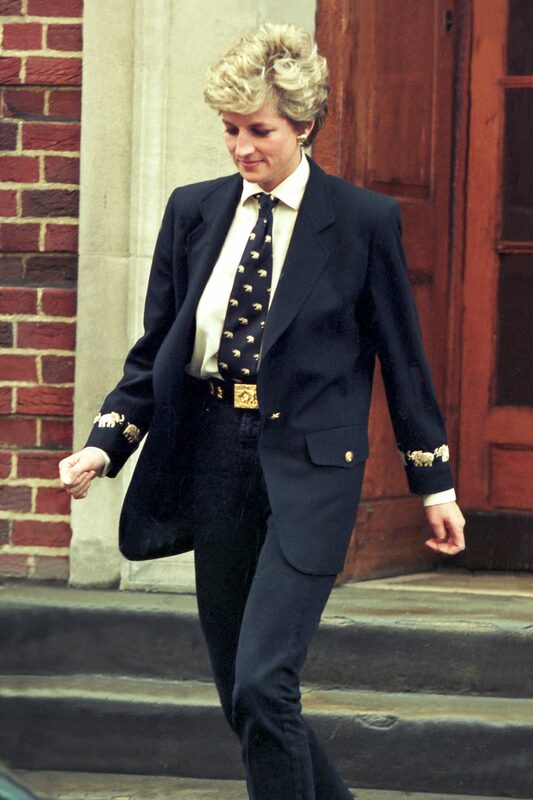 It’s been 21 years since Diana, Princess of Wales was tragically killed in a car accident, yet her spirit, her endless humanitarian work, and her style continue to inspire. Although there have been countless film and television tributes over the years (especially since last year, which marked the 20th anniversary of her death, and this year’s Royal Wedding), no one has kept the Princess and her legacy alive as vividly as the fashion industry. The combination of her honest efforts, and the drama that surrounded her tumultuous relationship with Prince Charles, including her affairs with royal bodyguard Barry Mannakee and financier Dodi Al-Fayed, meant that she was the most talked about woman in the world. The fashion world loves an irreverent, troubled soul with impeccable taste, so of course she would become an icon. Beyond her love of taking fashion risks, Diana understood the power of clothes more than almost anyone else at the time. For her now historic 1997 auction at Christie’s, the princess chose 79 of her most iconic gowns to sell, with all the proceeds going to cancer, and HIV/AIDS research. The evening ranked in $3.25 million, twice the amount expected. She’d die two months later. While the glitzy, camera-facing Diana lives on in the images of her wearing her glamorous dresses, it’s the laissez-faire way she dressed when she was “off-duty,” that still inspires designers and editors decades later. It’s the private Diana, who felt most herself in “regular clothes,” who could piece together an outfit around a single pair of jeans or a baseball cap like no other, that we’re still so transfixed by. And if you look closely at some of the most directional, recent collections, it’s evident that her influence has never left us. As we gear up for the upcoming fashion season, it shows no signs of stopping. That’s because, in addition to the magic of Diana’s personal style (made in part by her stylist, British Vogue ‘s Anna Harvey), fashion is still obsessed with the vibes of the ’80s and ’90s. 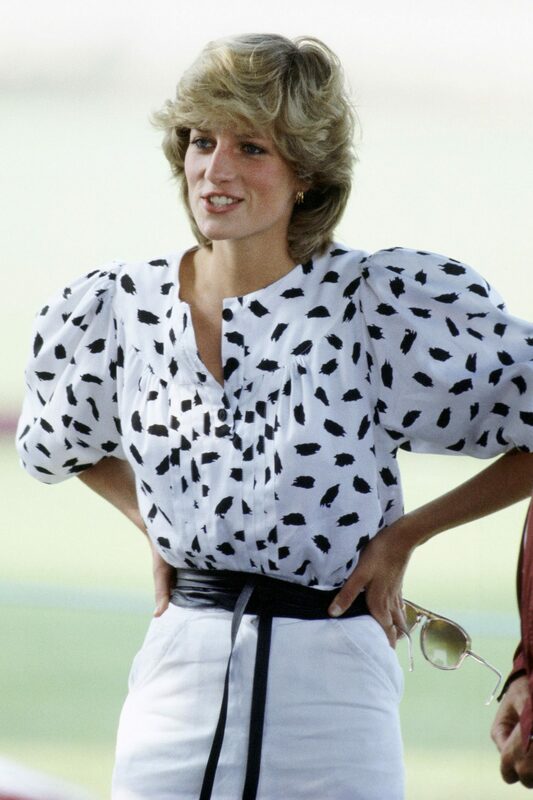 From Raf Simons’ revamp at Calvin Klein to Demna Gvasalia’s work at Vetements and Balenciaga — both of which have produced more shoulder pads between them than the entirety of Diana’s wardrobe combined — the higher-the-shoulder-pad-the-closer-to-God aesthetic has gotten the royal treatment from today’s creative visionaries. If the trends du jour tell us anything, it’s that these looks are still trickling down to the masses, with dresses sculpted out of Diana’s prestigious wardrobe going for as little as 65 British pounds. And if you think this is just a passing fad, Off-White’s Virgil Abloh cemented the Princess as inspiration when he showed his spring 2018 collection last year in Paris. This is even more fitting when you take into consideration her affinity for mixing trends high and low. Fashion loved Diana just as much as she loved it. In the later parts of her life, as she broke out of the monarchy shell and began building a new life, it became her armor. It was evident the Princess was building a wardrobe that no longer camouflaged who she was on the inside, but a collection that was edited, sleek, and forward-thinking, that hinted at a new sense of freedom and a chance at love. Shortly before her death, the Princess could often be seen in pinstriped power suits and shimmering bodycon mini-dresses. Her “new look,” as coined by Vanity Fair, was introduced by the fashion press via Mario Testino. While we could sit here and talk about the style accolades of Princess Diana pretty much all day, we’ll let the slideshow ahead do the rest of the talking. There was Lady Diana Spencer, the precocious teenager from Sandringham who knew how to make a Christmas sweater look anything but ugly. 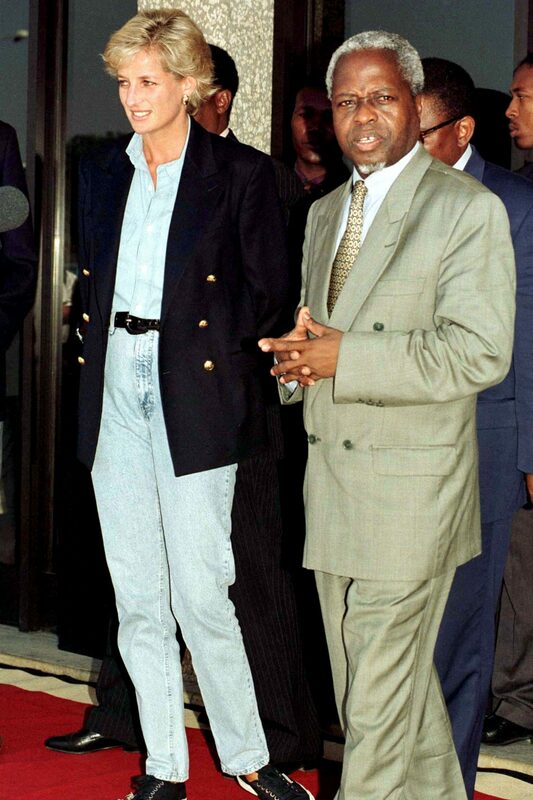 Then there was Diana, Princess of Wales, who never parted with her high-waisted denim collection and could make even ’80s-era athleisure look expensive. While she’ll always be known as a fashion icon — among many other accolades — her style was about more than just great taste. The ease with which she wore clothes, and the access she granted us in watching her reinvent herself through them, make her a true embodiment of timeless style. We’d be lying if we said we haven’t seen this top at Reformation. And you’d be lying if you said you didn’t try it on. Photo: John Stillwell/PA Images/Getty Images. Why haven’t neon hot shorts caught on yet? If this looks familiar, that’s because you may remember seeing it walking down Balenciaga’s runway. 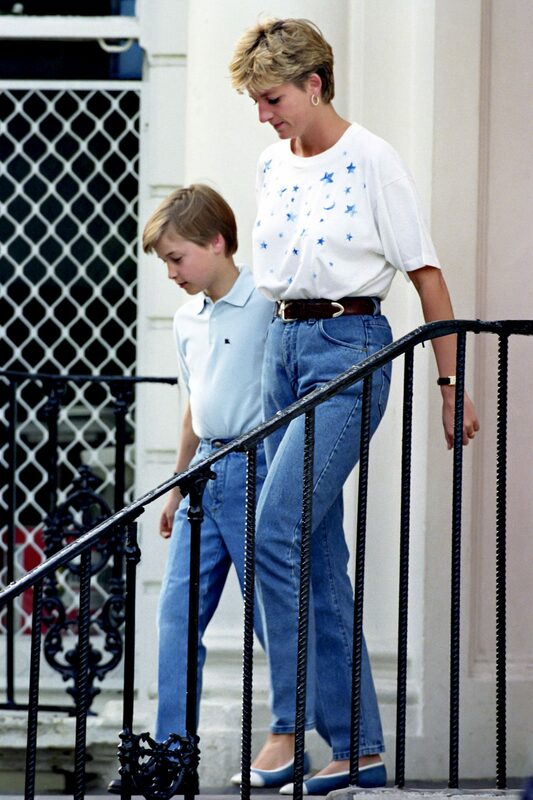 No, Kendall Jenner was not the pioneer of the Western-belt-on-mom-jeans trend. Photo: Julian Parker/UK Press/Getty Images. A little elephant passementerie never hurt anybody. Weekly Best and Worst Dressed Celebrities: Anushka Sharma, Diana Penty ace fashion risks, Radhika Apte, Surveen Chawla falter!